I already wrote up my thoughts on Microsoft's presentation earlier, which I thought was far better than the last several conferences, including their E3's and earlier Xbox One announcements. Now Sony has revealed their console, plenty of games, and touched on some of their non-gaming functionality. Things kicked off with a discussion on the Vita, where it was revealed that they have over 125 games so far, with more than 85 more titles slated for this year. Batman, Counterspy, Destiny of Spirits, Killzone Mercenary, and Tearaway were some of the more notable titles Sony lead in with, and also promised remakes of God of War, FF X & X-2, Flower and Dead Nation. Probably the biggest Vita-related announcement was that there would be a Walking Dead bundle released this August. Next up, Sony talked about their plans for the PlayStation 3. 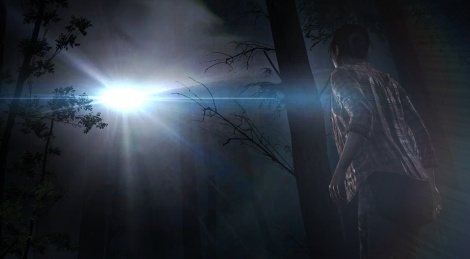 The Last of Us was a strong lead-in, but one that is well-covered territory of late. The video looked awesome, but by now with all of the reviews already out there on it, this one does not pack as much punch as it might have a month ago, at least for me. Puppeteer had a whimsical, fun vibe to it. Rain was a brief trailer, but it did its job - I wanted to see more. Speaking of seeing more, Beyond - Two souls looked really impressive. More expected titles were rolled out like Batman and Gran Turismo 6 looked great, and it was teased that there will be a GTA V bundle for the PS3 later this year. 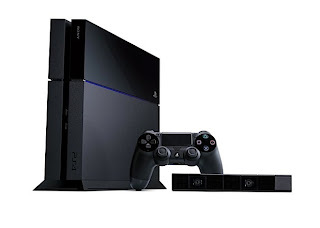 The majority of the show talked about the PlayStation 4, and with good reason. Sony led and finished strong - but in interesting fashion because it had more to do with answering questions than the games that were demoed. Right away, Sony showed off the PlayStation 4 console itself. In sharp contrast with Microsoft's presentation earlier, and how it was all about the games, Sony started the conversation about their next generation console talking about Sony's music and video options, promising vaguely that there would be unique content exclusive to the PlayStation Network. Another mention went to Red Box instant, and there was some quick bits later. The most notable of these extra features was the ability to play while downloading your game, cross voice chat and their use of the Share button and how it ties into UstreamSocial media was then touched on, and I could almost feel the crowd being restless - even borderline bored during this portion. There was another non-game moment as The Dark Sorcerer - basically a tech demo - was shown. It looked nice, but it felt oddly timed and disjointed with the rest of the presentation at that time. I thought Microsoft's speakers were generally better earlier today, and their game-focused narrative resonated a bit better as well. However, Sony did start to delve into their games. The Order looked interesting, with a mix of technology and historical setting, and I thought the Killzone demo looked better here, because it felt different. It was much shorter, but also felt more focused than what we saw at the February reveal. InFamous Second Son gave us a bit more of a look not only at the protagonist's new powers, but some of his personality too - which was refreshing. There was a healthy bit of conversation revolving around indie developers, and in many ways they were one of the shows highlights I think. Sony really has a good thing potentially going here, and I hope they continue to maximize this relationship. Transistor - from the creators of Bastion - just oozed style. Whether or not it will be any fun still remains to be seen, but it piqued my interest. 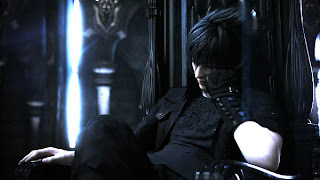 It was great to see that Final Fantasy Versus XIII is not dead - and is going to officially be called Final Fantasy XV. The Kingdom Hearts III trailer also elicited some cheers. Then the focus turned toward games meant to make the system look good, but are not in and of themselves exclusive to the PlayStation 4. 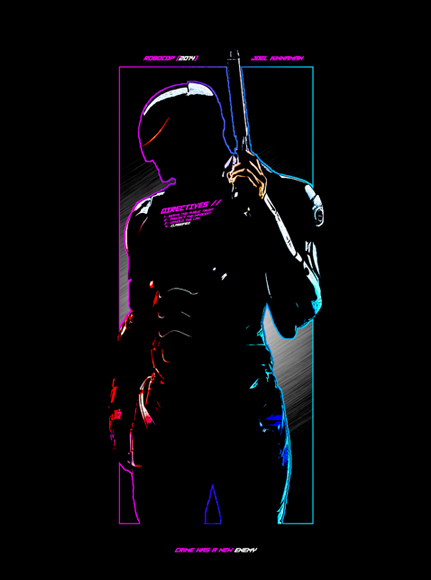 This includes Watch Dogs - which looks decent enough. This was by far my favorite viewing of the title - the prior trailers did not catch my eye at all, but here it was a bit more interesting seeing it played. NBA 2K14 featuring Lebron James looks great on the court, but for all the talk about how the rendered game Lebron is identical to the real article? Close, but there was some odd stuff going on with that mouth. Assassin's Creed is one of those series I can usually appreciate on a technical level, but the games have not been home runs for me to date. The latest demo looked pretty - but froze up several times, showing it was not entirely ready for prime time. One recurring theme throughout the presentation was Sony exclusive... DLC. Obviously there were some games too, but it felt like Microsoft's titles hit just a bit harder earlier in the day. Speaking of hitting hard though, I mentioned how Sony showed their console - but they also priced it at $100 bucks less than Microsoft at $399. Sony had said they learned a lesson from the slow adoption of the PlayStation 3, and that seems to have been taken to heart. Sony also hit gamers in a few other sweet spots, while trying to slip one announcement in that probably did not sit as well with everyone. First the good: but the system is focused on "disc based games" that you can sell, keep forever, loan to a friend - essentially the opposite of what Microsoft has been proposing. The cheering from the crowd in that moment was the loudest I had heard from either of the sessions today. A couple of other quotes: "you don't need to be connected online to play" and "it won't stop working if you haven't authenticated in 24 hours". 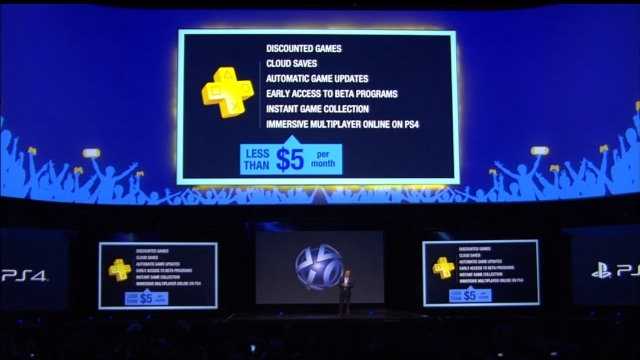 PlayStation Plus was then talked about at length. I have mentioned before that I have found it to be an excellent deal for me personally. I am the only one in my family who has it because I can download freebie games and get discounted games that the others in my family can now play. If you have a PlayStation Plus account, it will carry over to the PlayStation 4 and is part of that whole Vita/PS3/PS4 ecosystem. Driveclub PS Plus Edition (which leaves me wondering what is different about this version than the retail game - but with a sub-name like that, there has to be something, right?) 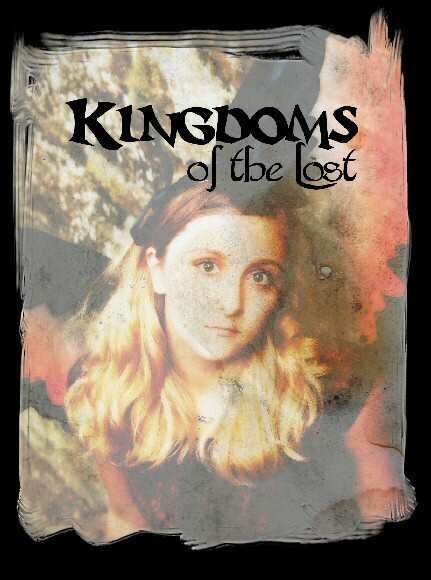 will be a launch freebie for the PlayStation Plus. Don't Starve, Outlast and Secret Ponchos were all promised as first year PlayStation Plus free titles. The one thing that showed up on that slide that caught my eye, and that was glossed over very quickly in the presentation is that it looks as though PlayStation Plus will be required for online play - much like the current Xbox Live Gold model. "PS4 gamers who aren't Plus members can still enjoy single-player games for free...and access to media services won't require Plus" was the line, and I have included the slide shown at that moment too. This left me with a couple of questions though - primarily if one Plus account per family is enough, or do I need a separate one for my wife, all three kids and myself? Five dollars a month is not too bad - and Microsoft has said their model for Xbox Live Gold (though I have not heard a price yet) will be family/system-wide. Considering Sony undercut the Xbox One several times on those talking points tonight, I expect that this will be the case for PlayStation Plus, but I want to hear it officially before I bank on it. Last but not least, Destiny was demoed at some length, and an exclusive arrangement was announced - so does this mean no Xbox One? No details were given, aside from saying that the game would be supported for years to come. Destiny sure looked pretty, and the cheesy on-stage banter was meant to convey a sense of teamwork and camaraderie, however... very little else looked revolutionary. Maybe there is more to it - I would have to imagine so - than just the gun play that was shown off, but at this point there was nothing really differentiating it from all of the other shooters we saw today. So, what did you think of the announcements? Like? Dislike? I will part with this funny little 'informational video' on how to loan games to your friends on the PS4. "Five dollars a month is not too bad - and Microsoft has said their model for Xbox Live Gold (though I have not heard a price yet) will be family/system-wide." As for what I liked, the used game policy being clarified was good. What I didn't like? Not backwards compatibility. Having to pay for online multiplayer (if Sony is "about the gamers" or whatever they were saying, why are they now forcing gamers to pay that haven't been, for an occasional online match?). 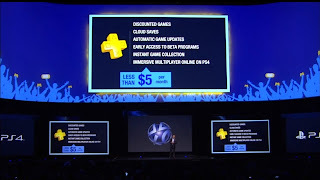 "The one thing that showed up on that slide that caught my eye, and that was glossed over very quickly in the presentation is that it looks as though PlayStation Plus will be required for online play"
This was also in small text at the bottom of the Used Game Instructional video, confirming it is required for "multi-player". The price is about $100 more than I would pay, especially considering there isn't a game bundled with it. I really haven't seen any game shown yet (from anybody), that makes me think, "Wow, this is why we need a next-gen console now from Sony and Microsoft!" I still think Nintendo was the only one that needed a new console, and that was to get them to the HD side of things. I don't doubt the games will be good, especially with the quality Sony has been producing/publishing for the PS3, I just don't see the need for another console right now. Why? The guy walked through a coffee shop! GOTY!!!!!!!!!!!!!!!!!!!!!!!!!!!!!! I also heard it confirmed that the $400 PS4 was a 500GB system, though Sony hasn't ruled out a larger package deal either. I'm okay with the price overall. The PS+ I will be okay with if it's a single account unlocking online for everyone, because I am already a PS+ subscriber and am through like May of next year. I agree Nintendo needed to get on the HD side of things, but I think maybe they jumped the gun and maybe should have leveraged the hardware a bit more? I know that's usually not their top concern, but it will be interesting to see where Devs migrate. "I agree Nintendo needed to get on the HD side of things, but I think maybe they jumped the gun and maybe should have leveraged the hardware a bit more?" What do you mean by leveraging? More power? Again, I'm not seeing anything that shows me why new consoles are really needed from Microsoft and Sony. If the developers took 6 years to really get used to making games for the PS3, and they (only one or two) are only now reportedly maxing it out, is there really a need for more? Specifically, $400 more. When developers have taken the time to develop games on the Wii U (Trine 2, Need for Speed), the games are already better graphically than the PS3 and 360 versions, and if the PS4 and Xbox One are slightly better than what is out now, where does that leave us? I do agree it will be interesting moving forward, BUT if the Xbox One and PS4 are going to really be such advancements, I don't think we would have seen EA firing 1,000 employees recently? I would imagine IF their sports games were actually more than recycled sugar cookies with new icing, for an entire console generation, they could find places for those employees? Perhaps they could have used one of them to make the cars outside the stadiums not look like cardboard boxes driving around? Or, perhaps they could have used some of those 1,000 employees to port games to the Wii U, like they said would happen at E3? There's a reason I haven't bought a football game since NFL 2K5, and EA continues down that same road. I tend to agree on the one front - in fact I wrote up a big old article before about how the Next Gen was still coming a year or two too early in my opinion. That being said, it is here, and now when you compare the Nintendo Wii U to say, the PS4 with the same game like Watchdog, it seems like it will probably run with better visuals and smoothness on the PS4 based on the hardware specs. While the PS4 is not needed in this instance, if the prices of the games are the same, and one has better horsepower behind it, then it seems like that is the version to buy. Of course, that is not always the case - for example if you are sold on another differentiator, like the touchpad interface the Wii U offers, then that maybe evens or swings things back Nintendo's way. The problem is most games haven't shown me why I would prefer that controller - but that's a matter of personal preference. As for the firings? That's been happening in a lot of places. Honestly, I can't say to know why some studios are firing and others are hiring - I think too much focus on huge blockbusters that 'have to sell x million copies in the first month' (I'm looking at you, Dead Space 3) is hurting the studios more than it is helping. I can see myself with all 3 of the consoles eventually - but probably just one to start. 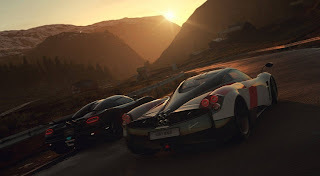 "While the PS4 is not needed in this instance, if the prices of the games are the same, and one has better horsepower behind it, then it seems like that is the version to buy. Of course, that is not always the case - for example if you are sold on another differentiator, like the touchpad interface the Wii U offers, then that maybe evens or swings things back Nintendo's way." Yeah, I actually said this very thing last night, "If it has Off-TV play, I would go with the Wii U version IF I have a PS4 as well." If it's a multi-console port, but one that perhaps looked slightly better on the PS4, but the Wii U version offered Off-TV play, I would go with the Wii U version every single time. Especially if I'm not having to pay for multiplayer on the Wii U. "The problem is most games haven't shown me why I would prefer that controller - but that's a matter of personal preference." Yeah, and I think this could be a "life style" thing. You have kids, but they are older. Mine are younger, and more dependent...meaning I'm their *shadow* a lot. I really, really, REALLY think that the GamePad with Off-TV play is awesome as a parent with young kids. Not just for them, but for myself and sneaking in gaming sessions as well. EVEN not playing when the Beans are around though, I use the GamePad to play the games that way the majority of the time. This is AFTER we got our new TV, wall mounted it, and everything. Black Ops 2? 90%+ played on the GamePad. Trine 2? Same way. It's actually why I find it a shame Nintendo can't work out their relationship with EA better, because I think that would be an awesome way to sell Madden to Wii U owners this year (not that I would buy it, because it would probably be running on Madden 99's engine). "Now, you can watch and play football...at the same time!" Something along those lines, and show how during a game, you can be playing a game on the couch via the GamePad.